I’m in a hurry to finish a preemie cap before the baby is born this Friday! Will blog more with pictures of caps when I finish. If it were not for the mistakes and frogging I have to keep doing, I’d be finished with these socks by now. I think they’d make a lovely pair of gloves. 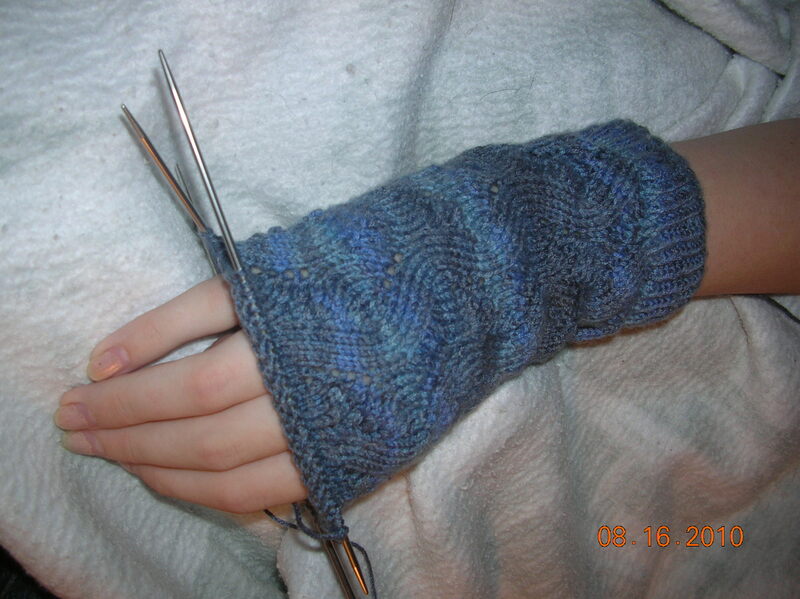 Maybe when I finish these socks, I’ll make a pair of gloves using this lace pattern. That’s being optimistic isn’t it? 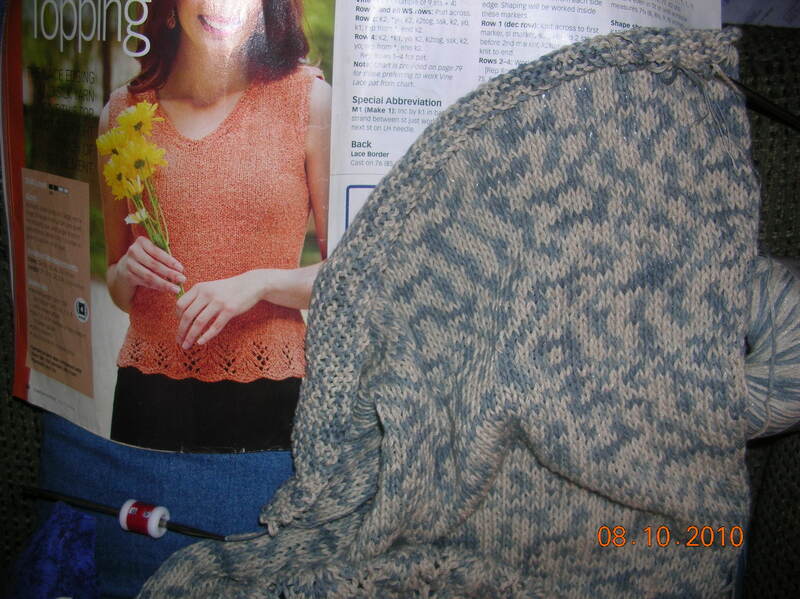 ‘When…” The pattern is Spring Forward by Linda Welch and published in Knitty, Summer 2008. 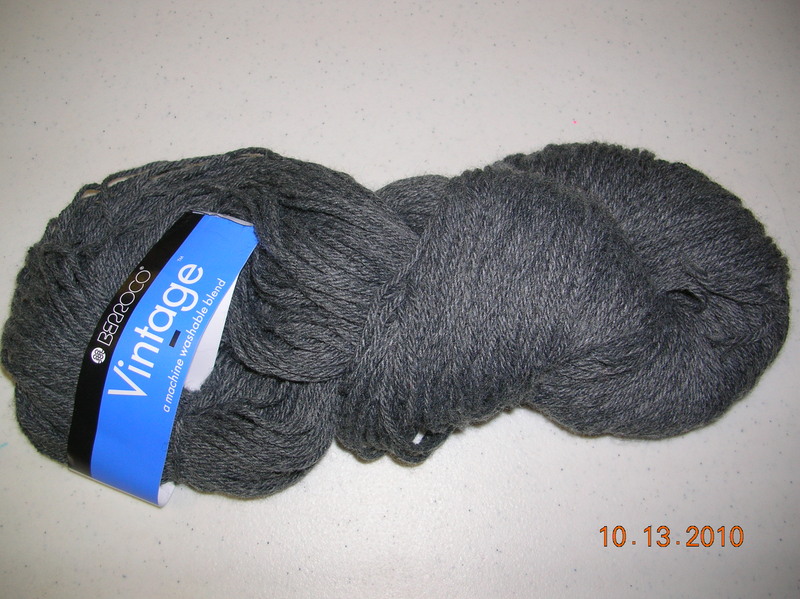 The yarn is Berrocco’s Comfort Sock and I’m using size 1 needles from Hiya Hiya. 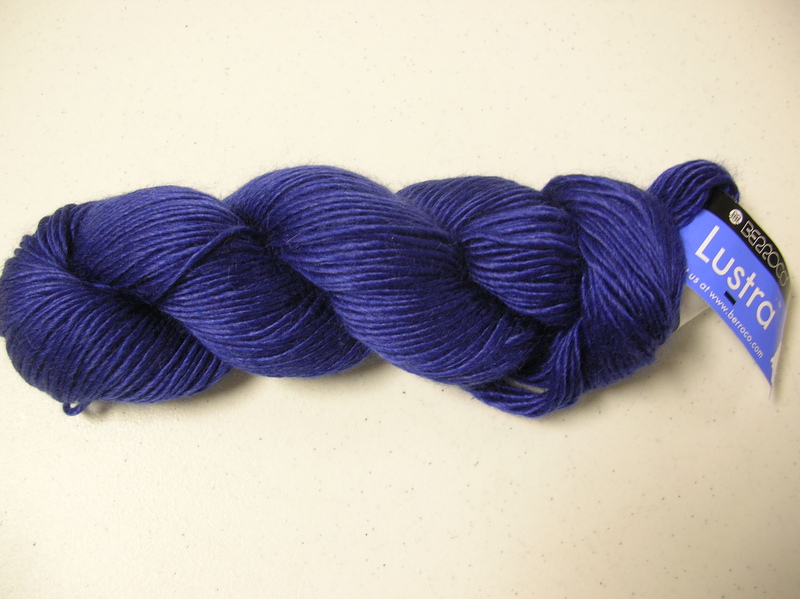 I love working with this yarn but I have to concentrate when I’m knitting the lace pattern. It’s really an easy pattern to memorize and there’s no reason why I haven’t been able to pay attention while knitting. That’s why I’ve had to frog so much. 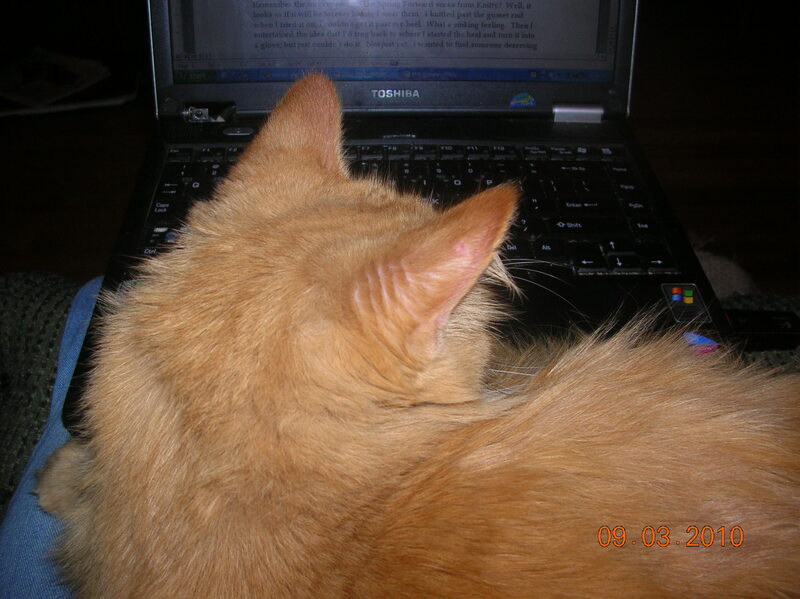 I especially cannot watch television. I’ll keep you posted on its progress. Hopefully I’ll finish before this time next year. 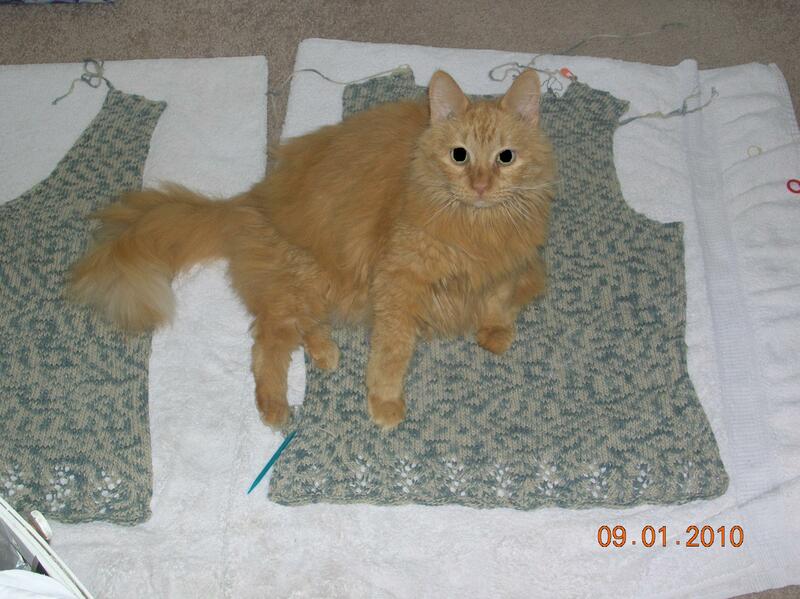 Am desperately trying to finish a summer sweater before the summer is over. 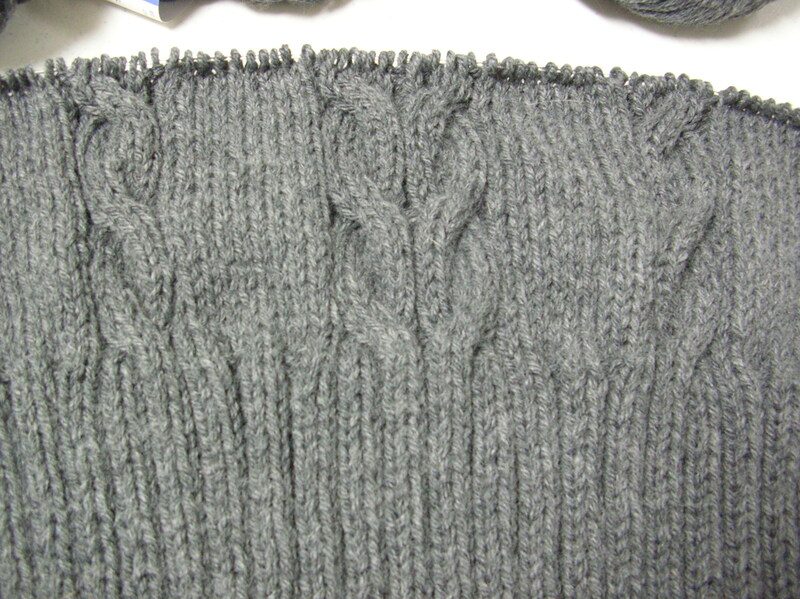 I’m working on the front of a v-neck sleeveless sweater and did not count the stitches on each side of the vee after binding off the center two stitches. Or so I thought were the center two stitches. 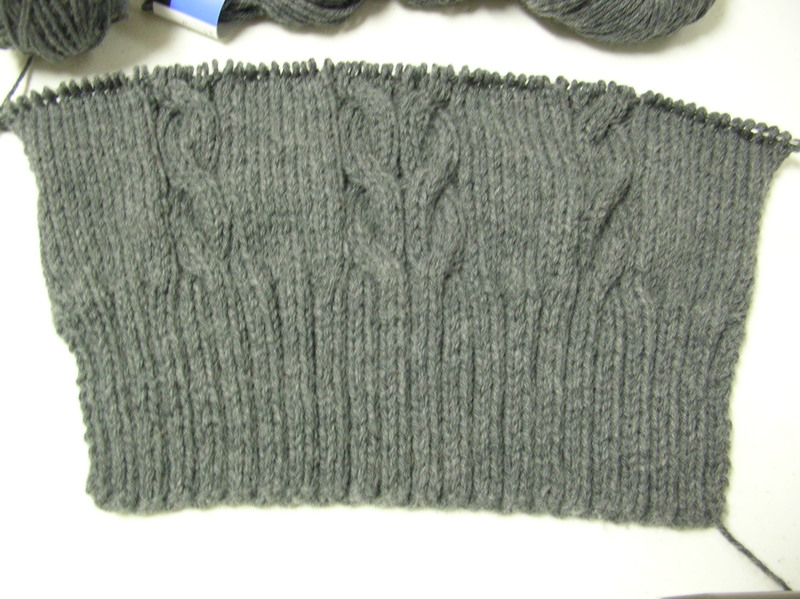 After knitting about 14 rows, I looked and it appeared off center so I counted. Yep. 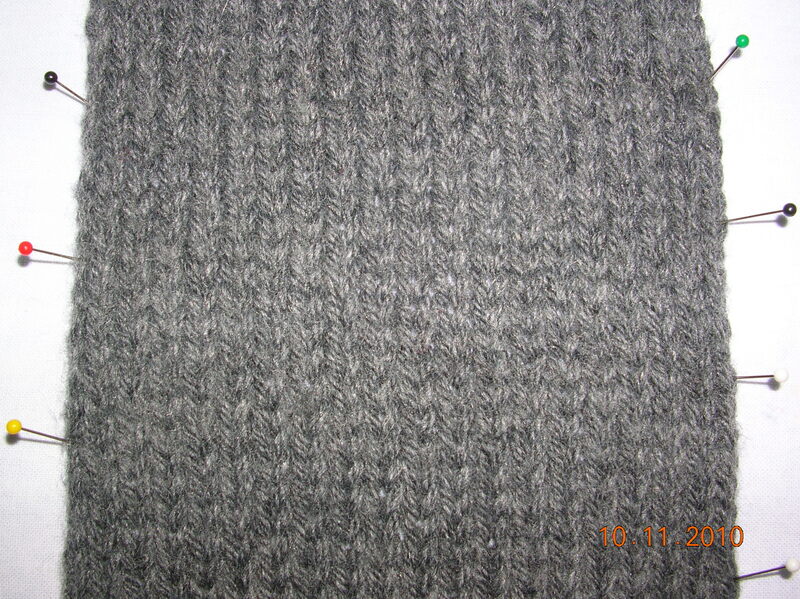 One side was two stitches wider. I thought about not decreasing for a couple of rows but looked at the edge and it was so nice with the decreases just so. I knew that idea wouldn’t work. 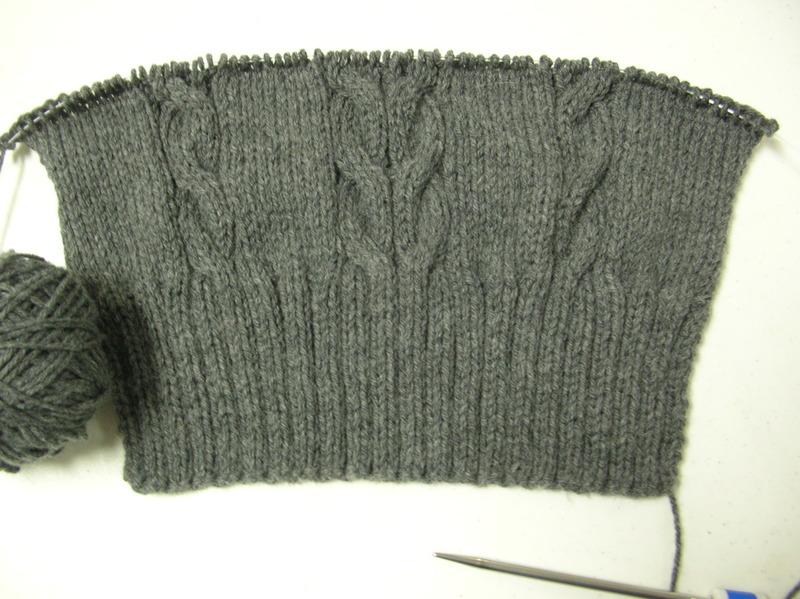 Only one thing would work… I frogged down to where the knitting divided for the neckline and started over again. 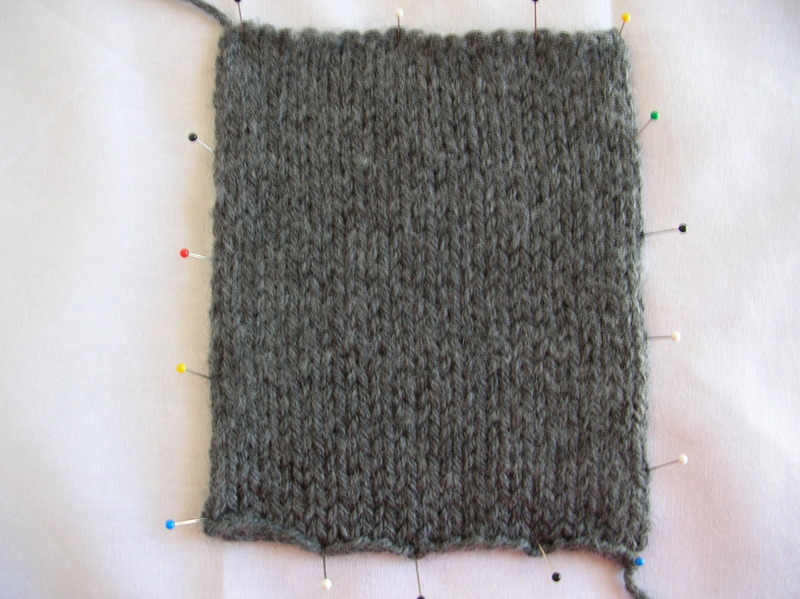 After binding off the center stitches, I counted twice to make sure both sides were even. Off to the races. Again.